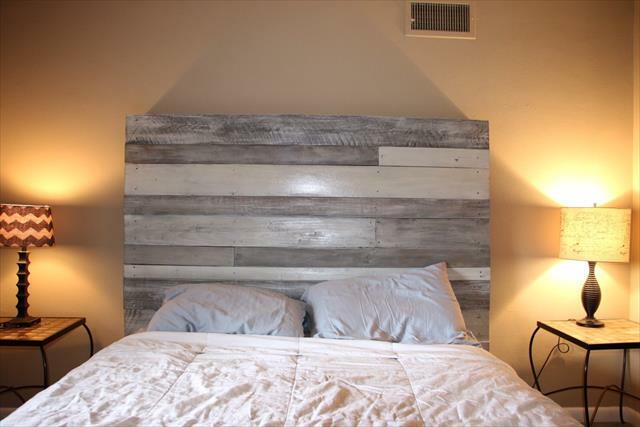 Let the no-cost pallet furniture solutions rock your home! 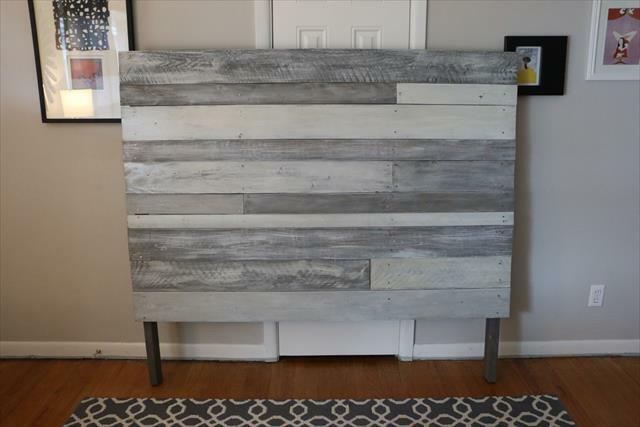 These solutions would be a big help while being short on budget or money and also to organize extra spaces of your home indoor or outdoor for both formal and occasional affairs! 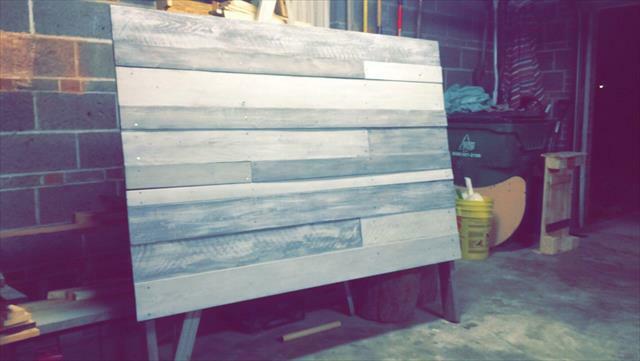 The feasible construction work makes the pallets more special to all DIYers and you can also feel it here that how easy to work with pallets by taking a look at this DIY pallet white grey headboard, a fantastic custom painted accent head boar your bed available for free also! 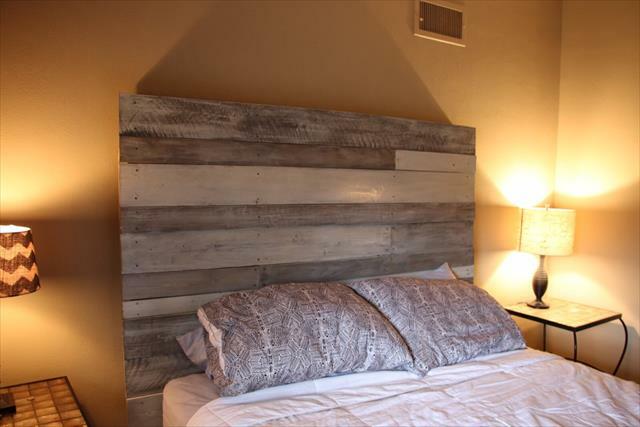 Pallet slats having different widths have been gain as a rectangular robust wooden board by going through a flat filling of them, this wooden board has been finish with custom legs so that it may reach the decided height level to serve your targeted bed frame! Just install it to your bed using hardware like nuts and bolts, metal plates and also other custom formulation and enjoy it as a precious head of your pallet bed!